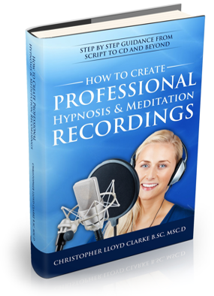 If you wish to create high quality hypnosis or meditation recordings then this ebook will be your guiding light. Written in a friendly and easy to read style, this is the definitive guide for every therapist and healer. Demystify the world of recording and audio production. Save on costs at every stage in the recording and publication process. Create high quality recordings that earn you respect and open up new opportunities. Enhance your credibility and status as a professional in your field. Reach more people with your work. Greatly improve the effectiveness of treatments that you offer to clients. Simply follow the link below to create a free account with Enlightened Audio. This only takes 30 seconds. You can then access the ebook from the "Free Downloads" area of your account. >>> Click here to create your account and download your free ebook. Already have an account with us? Please log in and visit your Free Downloads. Your ebook is already waiting for you! 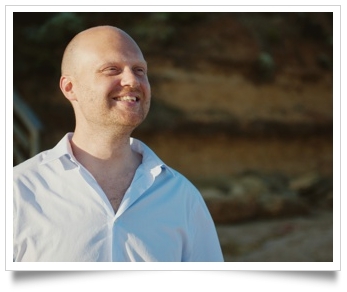 Authored by Christopher Lloyd Clarke B.Sc, Msc.D, music composer and director of Enlightened Audio, this ebook has been specifically tailored to the needs of professional hypnotherapists, meditation teachers and those who work in healing and educational professions. For example, this book will help you with script writing, creative development and selecting suitable background music. It will help you make critical decisions with confidence and we are quite sure that it will answer a lot of questions that you haven’t even thought to ask yet. You’ll also learn how to record your voice with your own equipment, you’ll quickly master professional narration techniques and in a special audio supplement you’ll develop listening skills that will enable you to produce recordings to a very high standard. Finally you will learn everything you need to know about selling and distributing your recordings, both in CD format and as digital downloads. You’ll be walked through the process of publishing your recordings on your own website and given specific instructions on how to get your recordings listed on iTunes, Amazon and all the other major online music stores. Along the way you’ll discover innumerable cost and time saving tips, and most importantly, Christopher describes all sorts of production techniques that help to make hypnosis and meditation recordings more enjoyable and more effective. There are some real gems to be found here. "Should I fade out the music right after I finish speaking, or let it play on for a while?" These are the kinds of questions led to the formation of this book. It's a resource that has been specifically tailored to the needs of those who work as healers, guides, counsellors and therapists. I had originally planned to sell this ebook, but it felt so good to give it away for free that I just couldn't stop myself. Creating recordings that help people is one of the most satisfying and fulfilling things you can do with your time, so my reward is that through this book I am able to play a part in the development and fulfilment of your wonderful work. If your recordings will help people to find inner peace, to live life to the fullest, to overcome personal difficulties or to heal, then you are involved in very special work. Sacred work. And let me tell you, when people start contacting you to tell you how much your recordings have helped them…well it will totally make your day. 7. CDs vs digital downloads: which format is right for you? 8. Recording your voice: professional studio or do it yourself?